Landlord: JP DiNapoli Cos. Inc. This is a four building complex that will be constructed after the current buildings are demolished. 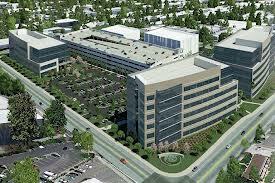 Linkedin plans on taking possession of the property during Fall 2014. This entry was posted on September 7, 2012 by pipros in In the News, Office, Recent Leases, Santa Clara County, Silicon Valley and tagged commercial real estate, Costar, office space.